Everyone seems to have an opinion about Noah. Some say it’s a fresh and creative, yet appropriate, adaptation of the celebrated story. Others say it borders on blasphemy. Having seen the film, I can say that one thing it is definitely not is blasphemous. Which is good, I suppose. But just because a movie isn’t blasphemous doesn’t mean that it’s good. The sad thing is, this movie showed so much potential. You can tell that Director Darren Aronofsky and writer Ari Handel studied their Bibles while writing the script. There is an abundance of creative interpretations, such as rock monsters as the Nephalim and ice age animals boarding the ark, beautiful images, such as stars visible in the daytime sky (which may have been a reality in the pre-flood atmosphere), and some truly touching subplots. The best of these is the one in which Noah’s family rescues a girl named Ila from a massacre and raises her as their own. Years later, Ila (Emma Watson) and Shem (Douglas Booth), Noah’s eldest son, are in love. However, due to a sword wound, Ila can’t have children. As the ark is being built, she wrestles with her inability to repopulate the earth at this crucial time, and wonders why she has a place on the ark. 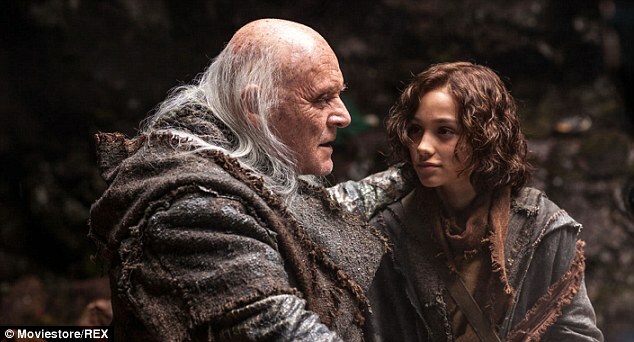 There is a beautiful scene in which Noah (Russell Crow) comforts her, and the crowning moment comes when Noah’s grandfather, Methuselah (Anthony Hopkins) “blesses” her and takes away her sterility, after which she runs into Shem’s arms. There are a few problems early on. For instance, Noah gets the idea that the purpose of the ark is to save the animals because “they still live as they did in the garden,” despite the fact that animals routinely tear each other limb from limb. 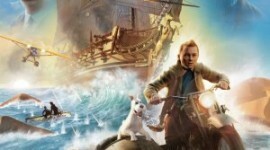 The movie pushes the idea that Noah and his family are vegetarians, and that that is part of their righteousness, yet Noah thinks nothing of hacking down human beings at several points in the movie. 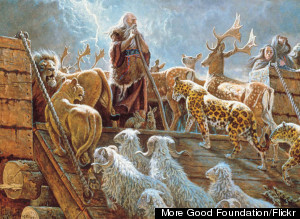 It’s very unlikely that the real Noah was a vegetarian, given that God told him to bring extra animals onto the ark for food, (Gen. 7:2) and that Abel had been sacrificing animals to God nine generations earlier. (Gen. 4:4, 5) But that’s okay. I can forgive some Ferngully-esque nonsense for an otherwise good movie. Indiana Jones would not have lasted on the ark. Those aren’t tree trunks. After all, the flood narrative is one of the four pivotal stories in the Bible, the first being the story of how man disobeyed God and brought suffering into a perfect world. The second is the flood story, in which God destroyed all of humanity except one righteous family in order to start the world over. And it worked, for awhile. But as we saw in the above scene, sin is inborn in every human being, and it soon resurfaced. This lead to the third pivotal story, in which God selected a nation, Israel, for himself, and gave them the Law, instructing them on how to live like righteous people. And it worked, for awhile. But the Law is powerless to bring life or renewal; it can only bring death. Sinful Man cannot keep it. Thus, there was a need for the fourth pivotal story, the Gospel. Because we could not keep the law, it was necessary for God to become a man two thousand years ago, and to live a perfect life, keeping the Law for us, pay the penalty we could not pay, dying a death more horrible that you or I can really imagine, and conquer death, rising from the grave. It is by this that “a multitude no one can count” (Rev. 7:9, 10) will be restored to their pre-fall glory, and that there will be a new heaven and a new earth. But that’s all pretty heavy for a Hollywood movie. Noah returns to his family, still working on the ark, and callously reports “There will be no wives!” and orders his family to get back to work. Noah tells Naameh, his wife (Jennifer Connelly) that evil is present in all of them, sympathetic and unsympathetic characters alike. As proof of this, he asks her “is there anything you would not do for your sons, good or bad? We would both choose to kill for our sons.” Of course, Noah has previously thought little of killing men for less than his sons, so I’m not sure why it’s such a shocking revelation to him now. We eventually learn that Noah has concluded humanity must be snuffed out so that the animals will be left in peace, but we’ll get to that later. Ham, who looks to be about 14, cannot except this and runs toward the camp to find himself a wife. He eventually stumbles into a ditch full of bodies, where he finds a girl about his age named Na’el (Madison Davenport), who is terrified of him and swings a rock at him to drive him off. Given Ham’s age, and the urgency of the situation, I half expected to see him physically overpower her, then drag her by her hair back to the ark. However, we are treated to a couple of surprisingly moving scenes, in which Ham feeds Na’el and comforts her in the ditch, as she refuses to leave her dead family. Only when the rain begins to fall does he insist she come with him. The two of them run through the woods to the ark, not far ahead of Tubal-Cain’s advancing army. Na’el becomes caught in a leg trap set for an animal. Ham can’t pry it open, but he refuses to leave her. Until Noah shows up. Our hero pries the two screaming children apart and drags Ham away. We then get a cringe-inducing shot of Na’el reaching after them, before she is trampled to death by the army. Darren Aronofsky is coming! All who wish to avoid embarrassment, into the ark! Second, even if you ignore Scripture, it makes no sense. Why would Noah leap so quickly to such an extreme conclusion? There’s nothing in the film to suggest God has told him man must die out. And even if he does kill Ila’s baby, what’s to stop Ila and Shem from running away after the flood and having more babies? They’ve got the whole globe to choose from. And if Naameh wants her other sons to have children badly enough (and she clearly does), she may well copulate with them herself. Don’t look at me like that, it’s been done. Desperate times call for creepy measures. To accomplish his ends, Noah would have to kill everybody. Third, it’s not as if this movie doesn’t shove enough horror and suffering in our faces (as it must). There is another side to the flood story. And it was taking shape in the first act. Noah’s relationship with his sons. Methusela’s tenderness with his great-grandchildren. Naameh’s adoptive care of Ila. Amid the wickedness of the world, this movie started with a beautiful depiction of familial and adoptive love. And that was exactly what God was trying to save when he told Noah to build the ark. (Gen. 7:1) God knew better than Noah that Man was inherently sinful. (Gen. 8:21) He was still giving Man a chance to start over. But the touching story from the first act is out the window now. Ila gives birth to twin baby girls. Naameh comments that “He (God) sent us what we needed.” So … Ham and Japheth are supposed to marry their nieces? And very young nieces at that? I know I said desperate times, creepy measures, but why do we need this in the story? Considering the fact that Noah was 600 years old at the time of the flood (Gen. 7:6), (Shem was 98) his sons were most likely grown men, with grown women already at their sides. Why, Aronofsky, why? This leads up to what is supposed to be the climactic moment, when Noah has his dagger raised over Ila’s twin daughters, and — big surprise – he can’t bring himself to do it. The ark runs aground, the waters go down, and they start to rebuild. There is a scene where, for no clear reason, Ham packs up and walks away from the rest, implicitly never to return — so what was even the point of the twin baby girls? But what about that bold and visceral depiction of the sinfulness of man? Noah is, after all, correct that evil is just as present in him and in his family as in Tubal-Cain, and that killing 99% of humanity will not end sin. Is this film going to at least hint at the coming of Christ? Noah and Ila sit on a beach. Ila says “The choice (of whether to kill her children) was put in your hands for a reason. He showed you the wickedness of Man and knew you would not look away. But as you looked, you also saw goodness.” So, no such luck on the Gospel. We went through all that agony just to hear one more canned Hollywood speech about faith in … goodness, I guess. Whatever that is. We then see Noah giving his blessing to his wife, two sons, daughter in law and two granddaughters, telling them to be fruitful and multiply and fill the earth, and we’re right back in creepy town, but at least the movie’s over. I could have forgiven a movie that didn’t accurately depict the events in Scripture. I could have forgiven a movie that watered down the message in Scripture. I could have forgiven a movie that was just another piece of mindless Hollywood tripe. Hell, even a blasphemous movie would have been less painful to sit through than this. 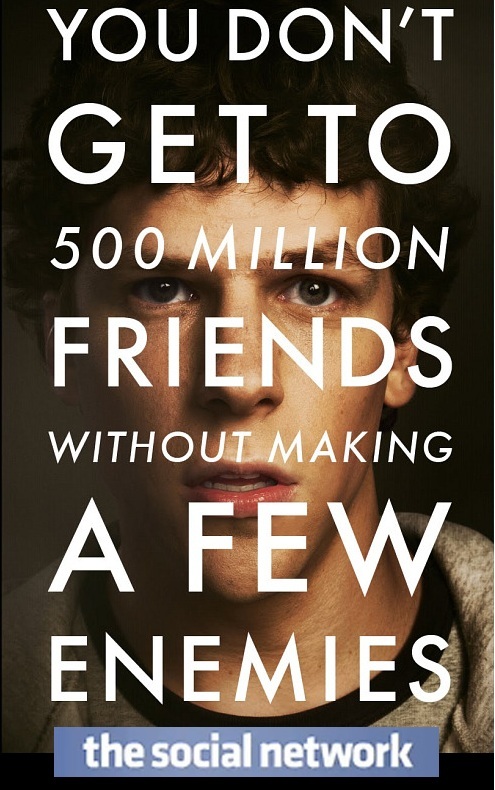 The worst part is, this was on track to be one of the greatest movies ever made. The talent was there. The creativity was there. The visuals were there. The source matter was certainly there. A full-budget rendering of the flood story was long overdue, and I was looking forward to a thorough exploration of the pre-flood world, and some awesome 2012-esque world destruction scenes. Instead of that, I had to sit through the manufactured misery of the most dysfunctional family on earth (literally). 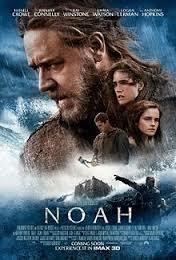 While Noah isn’t the worst movie I’ve ever seen, it may be the biggest disappointment of my film-watching life. The final bout between good and evil in J.K. Rowling’s majestic universe comes to a close after eight films. With Harry Potter and the Deathly Hallows Part 2 there isn’t much need for an in-depth criticism on the final movie (or half-movie). Rather I am provided a welcome opportunity to reflect on the series as one of the most impressive accomplishments committed to film. Few literary adaptations could translate so well into eight thrilling motion pictures. Rowling’s pages have not only given youngsters a hunger for reading, but cinematic magic has also applied sight and sound to that text over the course of 10 years—and to universal acclaim. Audiences love these books and they love these movies. As a capper to Harry Potter, Deathly Hallows Part 2 is of course bittersweet. Harry, Ron and Hermione continue their search for the remaining horcruxes that contain pieces of the dark Lord Voldemort’s soul, pieces that make him immortal. Hogwarts is under the iron fist of betrayer Severus Snape until Harry returns to defend Hogwarts and prepare for his final confrontation with Voldemort. Secrets are revealed. Lives are lost. A looming doubt about Harry’s fate (for those who haven’t read the novel) hangs over two hours. 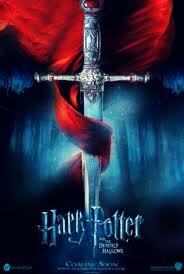 The last entry falls under the direction of David Yates once again. Having helmed half of the installments of the series, he has proven ever-capable. Chris Columbus brought the innocence and sense of discovery to The Sorcerer’s Stone and The Chamber of Secrets. Alfonso Cuaron brought a refreshing angst and eccentricity to The Prisoner of Azkaban. Mike Newell allowed for a sharp transition to the gloom of the series with The Goblet of Fire. Yates has since handled the darkest corners of the Harry Potter universe as the fun and games have been exchanged for Harry’s personal endeavor to save both the world of magic and the world of humans. Since 2001, the films have remained remarkably consistent even as the actors have aged a great deal and the tone of the story has evolved. Deathly Hallows Part 2 continues the tradition of solid craftsmanship. Sure, it hurts the film that it is really only half of a film. In fact, I made the mistake of not revisiting Deathly Hallows Part 1 before jumping into Part 2. For those on the fence about needing a refresher beforehand, I strongly recommend it. Yates has split one 4-hour-plus movie into two parts and he doesn’t leave us any footnotes along the way. As a standalone installment, Part 2 really hurts without watching Part 1 along with it. The tension and rising action have to be brought in the pockets of audiences and applied from the get-go. While that may not be a fair criticism of the movie as it is intended as part of a larger story arc, it is worth noting. In terms of ending the saga, the film does a perfectly satisfactory job. The actors are on their game. The special effects and action sequences are grandiose, and yet interestingly punctuated by several extended moments of quiet. 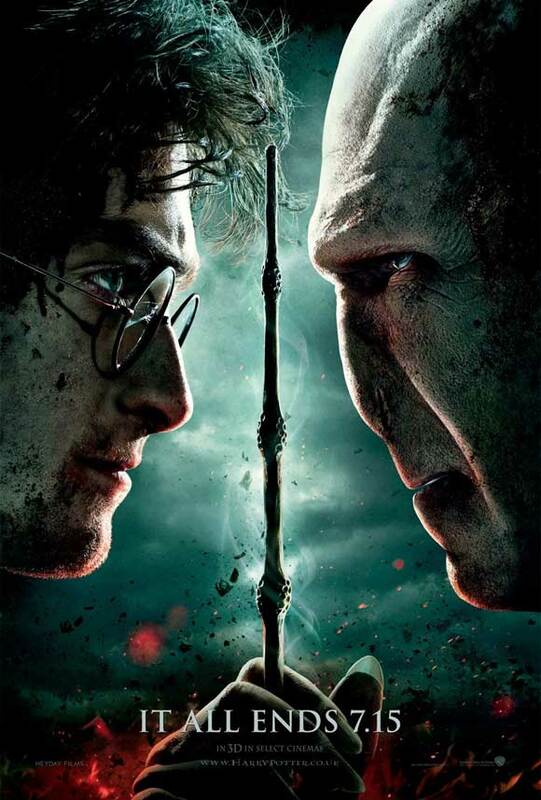 I may have expected more of a thrilling showdown between Harry and Voldemort, but the buildup has been over seven previous films so I can understand that anticipation may have gotten the best of me. What I enjoyed most about this final entry were the surprises along the way and the tender moments among the notable characters of the series that earn their last minutes in the spotlight. I would say I’ve enjoyed other chapters from this saga more than Deathly Hallows Part 2, but as a sendoff to the Harry Potter universe, the film is again very well-made and audiences are going to love it and will likely still be hungry for more. 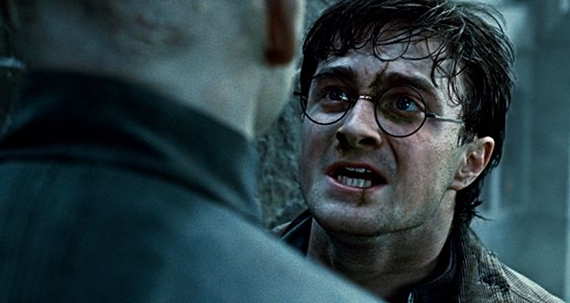 The hint of future installments of J.K. Rowling’s world have been set. Even if they never come to fruition, at least her accomplished works are ready and available to young readers. 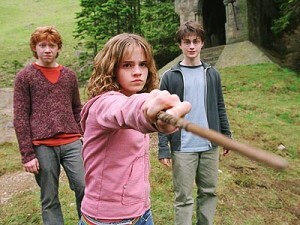 As for the future of Harry Potter, I’m willing to bet on a return of sorts for a new generation ready for magic. So it has come to pass. Twenty years after an “idea simply fell into” author J.K. Rowling’s head, we are nearing the completion of a franchise development truly without precedent. Not only did Rowling manage to write an extremely rare heptilogy of novels, and make every one engaging enough to keep readers begging for more, but Warner Brothers Studios is now nearing completion of a truly unique achievement: an actual octilogy of multi-hundred-million dollar films, consistently written and cast over ten years. This achievement deserves mention, even if it’s ultimately just a testament to mindless consumerism. With so many major characters in the epic tale, many of them juveniles, keeping the entire cast together for eight movies must have been a managerial and legal nightmare, to say nothing of churning the movies out fast enough to (almost) keep up with the aging actors. Add to that the level of special effects the story requires and the problems always posed by child actors, and it’s truly amazing any of these films turned out decent. And I would have to say, that’s just what they are: decent. Nothing more, nothing less. None of them are bad by any means, but it’s impossible for me to watch one without thinking about how much more powerful the book was. The books, unfettered by the logistical problems mentioned above, and free to be as long as they needed, took us to places no movie ever could. Two of the most powerful scenes from Book VII – when Ron destroys the locket, and when Herminoe attacks him afterward – have been reread many times by me, drinking in every word and feeling the raw emotion of the characters. Both of these scenes are pretty flat in the movie. In all honesty, though, I can’t read the more recent books without longing for the early books. There were a hundred and forty two staircases at Hogwarts: wide, sweeping ones; narrow rickety ones; some that led somewhere different on a Friday; some with vanishing steps halfway up that you had to remember to jump. Then there were doors that wouldn’t open unless you asked politely, or tickled them in exactly the right place, and doors that weren’t really doors at all, but solid walls just pretending. It was also very hard to remember where anything was because it all seemed to move around a lot. 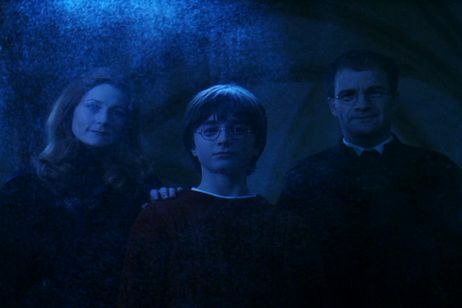 The people in the portraits kept going to visit each other, and Harry was sure the coats of armor could walk. Nobody laughed this time. There was no mistaking the anger and contempt in Voldemort’s voice. For the third time, Charity revolved to face Snape. Tears were pouring from her eyes into her hair. Snape looked back at her, quite impassive, as she turned slowly away from him again. The flash of green light illuminated every corner of the room. Charity fell, with a resounding crash, onto the table below, which trembled and creaked. Several Death Eaters leapt back in their chairs. Draco fell out of his onto the floor. 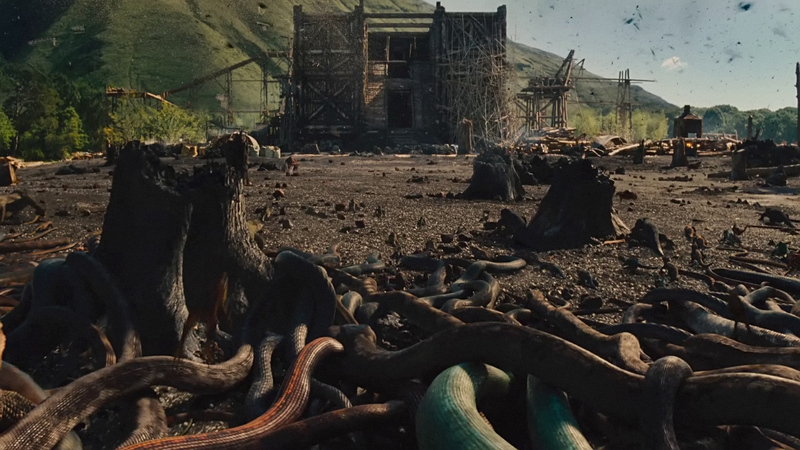 “Dinner, Nagini,” said Voldemort softly, and the great snake swayed and slithered from his shoulders onto the polished wood. We all love stories about more exciting worlds hidden in our own. As we all know, the premise of Harry Potter is that there is a civilization of wizards and witches living in hiding somewhere within our own world. There are enough of them and they have enough power and resources to have their own towns, traditions and unique modes of transportation. Of course, if you’re buying this, you’ll probably buy that there are mutant turtles practicing ninjitsu in the sewer. Why haven’t any of the zillion satellites orbiting the earth photographed Hogwarts? How could an airborne event the size of the Quiditch World Cup go unnoticed by Muggles? If wizards are so powerful, why do they need to hide? The story occasionally posits flimsy explanations for this, but of course, we all know, the real answer is WHO FRICKIN’ CARES? Harry Potter gives us the chance to escape our world completely and enter one of dragons, adventure and the moral clarity that’s hard to find in real life. Some more questions about Harry’s world: if Parseltounge is such a rare gift, why can any human apparently talk to Aragog the Spider in Chamber of Secrets? Why is Hogwarts full of ghosts, while Harry’s parents and other’s killed by Voldemort are truly gone? (This one must have hit Rowling about halfway through the series, because she starts ignoring the ghosts as much as possible about then.) Things like this weren’t a problem when we laughed with 11-year-old Harry on magical school grounds, but as Rowling made the books more and more serious and world-changing, we were forced to question them more and more. One of the most irritating features of the movies is that they increasingly portray Harry against a backdrop of skyscrapers. Harry Potter was at his best when we could join him in a closed universe, nothing like our own, and forget our troubles amid the innocent fun of quiddich and wizard’s chess. Frankly, the subject matter of Harry Potter just isn’t worthy of epic battles and mature romance. Having said all this, I must confess that I still genuinely enjoyed the later books, and genuinely enjoyed Deathly Hallows, Part 1. Splitting this story in half enables the film to at least come closer to the depth and richness of the book. I’m eager to see Part 2. If you’re a Potter fan, you should check this one out. Just do me one favor. Don’t deprive yourself by only watching the movies. PLEASE read the books. I’m not the world’s most aredent Harry Potter Fan. I read the first three books partly out of a sense of generational obligation, and partly out of mild curiosity, but always found their Lord of the Rings-lite sensibilities to be more than a bit uninteresting. They were entertaining and charming, but midway through Goblet of Fire I gave up and went back to George Orwell and Tolkien. I just wasn’t too interested in Harry Potter’s adolescent crises amidst the magical world of Hogwarts and bludgers and muggles…oh my! Well, not in reading about them anyway. I did enjoy the movies, as they tended to distill the essence of each book into an easily digestable cinematic experience, and all of them have been pretty solid film offerings unlike some other book-to-movie adaptations. I also appreciated that the themes of the books and movies tended to mature with the characters and, subsequently, their audience. There’s only so many Quidditch games and slug-vomiting potions a guy can take before he takes the advice of his 6th grade D.A.R.E. instructor and just walks away. But the most recent movies like Order of the Phoenix and Half-Blood Prince (not to mention the ending of Goblet of Fire, which I thought was a bit of a cheap move on Rowling’s part, but dark nonetheless) have seen the tension factor ratcheting up higher, the implications of the conflicts grow ever wider, and the characters dealing with some serious life-and-death stuff. Add to that some examination of spirituality and romance, and the Harry Potter series really has come a long way since magical chess games and diatribes on the correct pronunciation of Wingardium Leviosa. 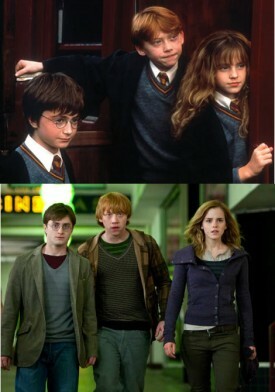 Harry, Ron, and Hermione, all growed up. And so we have the stage set for the final chapter in the Harry Potter series. Doing away with the concept of exposition entirely, since if you don’t know who these people are by now you have no business watching, the film gets right down to business with Potter and his friends on a mission to escape a posse of evil Death Eaters sent by Lord Voldemort, J.K. Rowling’s counterpart to Dr. Claw. They all meet up at the Weasleys, the most ill-conceived safe house location ever (unless Hagrid and company were hoping Voldemort and his goons would overlook the most obvious place in the world for Harry Potter and his friends to hole up for a while) and take pains to evade detection by the most powerful evil wizard in the world by having a gigantic wedding party for a pair of secondary characters whom we are supposed to know or care about. Soon Harry, Ron, and Hermione set out on the ultimate teenage wizard road trip/collect-a-thon as they try to locate seven Horcruxes–objects where Voldemort has stored up bits of his eternal soul. Destroying these will bring an end to evil once and for all and allow Harry to finally get some much-needed closure about his parents’ murder too. It’s actually kind of refreshing to have a Harry Potter movie focus so much on the three main characters. Hogwarts is nowhere to be found in the entire film, and instead Potter and his friends set out to make the ultimate travel brochure by visiting every last gorgeous landscape and sweeping vista to be found in the entire United Kingdom. As they magically transport from one locale to the next, they deal with a lot of relationship issues and even have a bit of good old-fashioned romantic jealousy come between them (even though Ron and Hermione are about as believable of a couple as Anakin and Amidala) while seeking out the Horcruxes and delving deeper into the mystery of the Deathly Hallows. 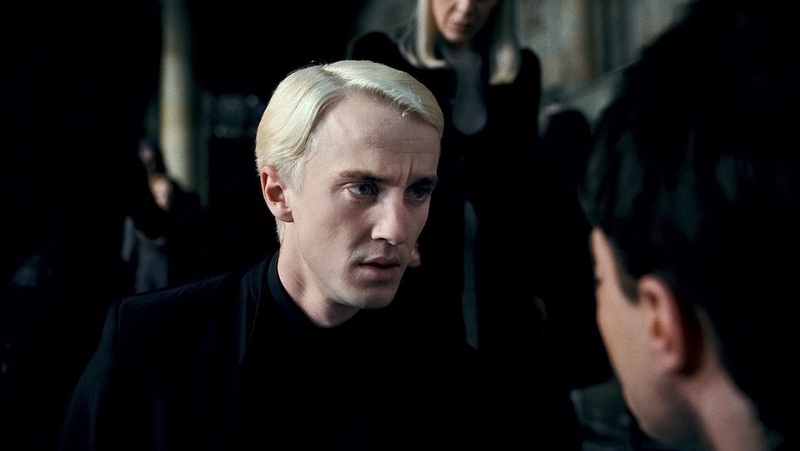 We are also given much more insight into the characters of Draco and Lucius Malfoy, and begin to ask some serious questions about Professor Snape as well. It’s this type of three-dimensionality that this final installment offers that sets it high above so many other entries in the fantasy genre. Draco Malfoy, who doesn't know the meaning of the phrase "bad hair day." It’s an engaging tale well told, and as dark and grim as the series has ever been. A couple beloved characters have been dispatched over the various entries in the series, but in Deathly Hallows it seems no one is safe from the Grim Reaper’s scythe. The film even has some genuinely disturbing parts too, and is certainly not a movie for kids. Women are tortured and sacrificed, bodies are mutilated, and we see Potter and his friends go to some very dark places in order to do what needs to be done. It’s a world of ambiguity and grey morality, and offers some thought-provoking questions on what it means to simply do the right thing. In the nine years since The Sorcerer’s Stone was unleashed into theatres, Harry Potter and his friends have been on some absolutely incredible journeys. It’s almost sad to see things finally coming to an end, and as such I didn’t mind at all that this final film was split into two parts (Part 2 is scheduled to blow the doors off the box office in summer 2011). We’re in the homestretch now, and even though Deathly Hallows is a striking departure from the rest of the series, it is a fitting beginning to the graceful swan song the series deserves. Another success of a film, which is to be expected at this point, ‘Harry Potter and the Half Blood Prince’ gets to take a look back at the history of Tom Riddle before he became the dark wizard known as Voldemort. Dumbledor requests Harry Potter’s help in seeking information out of an old professor of Riddle’s named Horace Slughorn (Jim Broadbent) who may withhold a secret about Tom Riddle’s past that could prove very useful. Meanwhile, Harry suspects fellow classmate Malfoy to have ties with Voldemort’s dark forces. David Yates again returns to direct, and will also helm parts One and Two of ‘The Deathly Hallows’ due out November 2010 and July 2011, respectively. This sixth installment is all build-up for the final film wisely split into two parts by the studio and filmmakers. 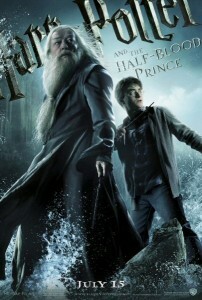 ‘The Half Blood Prince’ sees many major events take place that I will not reveal. It’s a continually interesting story, looking back at the young Tom Riddle’s turn for the worse, only briefly touched on in ‘The Chamber of Secrets’ which many may not remember all that well. Or who am I kidding? Potter fanatics (the bulk of the audience) will know everything, but to the average moviegoer having seen each film only once–they may need a refresher that Tom Riddle is in fact Lord Voldemort. There are many more aspects and developments in this film that I won’t discuss, partly because I refuse to ruin anything and partly because there’s just a lot going on here. Teen romances and ‘Cosmo-girl’ yap also bleed all over this puppy with all the major characters, but it isn’t necessarily a bad thing, and it also adds for quite a bit of humor this time out. It’s refreshing to see some regular teenager behavior after all the dark and doom fixated over ‘Order of the Phoenix.’ There’s still that darkness intact in this film, but the script allows for more scattered light to shine through. ‘The Half Blood Prince’ is a bonafide blockbuster film, lighter on the action maybe, but another involving installment that ends with a cliffhanger to expected gripe. No worries, the story continues a year and a half from now. This is great entertainment (a rare treat this summer), and on par with my praise for the previous film. The best installment of the franchise so far, ‘Harry Potter and the Order of the Phoenix” is a dark and visceral film full of spectacle, action and strong storytelling. Harry and friends must now do battle with the new evil Professor of Defense Against the Dark Arts (it seems there’s always a new one), Professor Umbridge (Imelda Staunton). She takes over Hogwarts and abuses her authority under Ministry rule to rid the school of any performing of magic. No one believes Harry that Lord Voldemort has returned, and since the school can no longer prepare the kids for the dark times to come, Harry takes it upon himself to secretly train his fellow classmates, under the title ‘Dumbledor’s Army,’ to prepare for battle. This installment of the franchise is brilliant from beginning to end. The story here is most involving. David Yates comes on board for this fifth film adaptation and works wonders. The events in the film truly take the series to new realms and darker corners, but these characters are just great to watch. Imdela Staunton as Professor Umbridge is an evil delight, and a strong addition to the film. 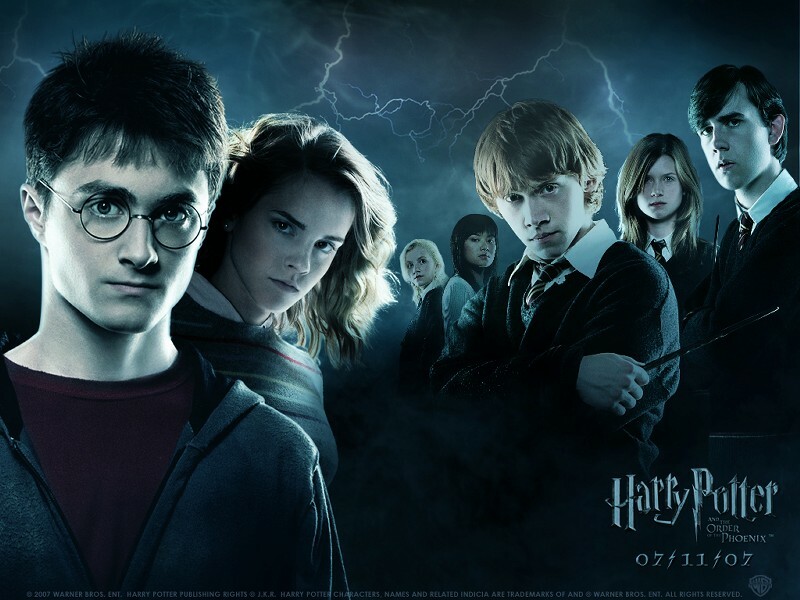 With the impending battle between Hogwarts and Voldemort drawing closer, ‘Order of the Phoenix’ has the opportunity to have a much more plot-driven film, a suspenseful action-adventure that sees further drama bridging to the final events to come. This is a great film. J.K. Rowling’s universe furthers its limitless boundaries, and with ‘Harry Potter and the Goblet of Fire’, the series’ translation to film continues to impress. Harry’s world represents endless possibilities, part of the series’ undeniable fun and excitement. This time, the schools of magic are apparently international, spanning other nations and bringing these different institutions together for one slam-bang tournament known as the ‘Triwizard’, in which three 17-year-0ld students are chosen by the Goblet of Fire (much like the magic hat that selects students’ housing) to compete in a Battle Royale of Magic sort-to-speak; not battling each other, but against tumultuous threats, a competition I can’t wrap my brain around. These kids are put in life-and-death situations that test every ounce of their capabilities in the world of magic. With this knowledge, the school has an uproar when Harry Potter’s name spits out of the Goblet as an illegal fourteen-year-old fourth contestant. 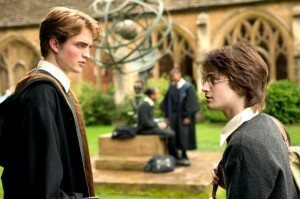 He is shunned by his classmates, especially his best friend Ron, which really made no sense to me. Hermione tries to reach out to him, but Harry keeps his distance. His nightmares of the Dark Lord are getting to him again, and whoever or whatever rigged his name into the goblet seems to spell doom for Harry. It doesn’t help that the Yule Ball is approaching for the youngsters either, forcing the kids to learn to dance and for the boys to ask out at a date. This could prove more complicating for Harry than anything he faces in the Triwizard Tournament. This installment finally reaches a pivotal point in this remarkably rich saga. The story in particular finally revolving around the character of Lord Voldemort, which was briskly touched on in ‘The Sorcerer’s Stone’, gets into the thick of the encompassing story. 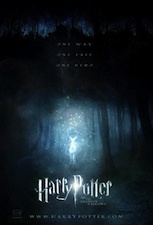 With the Triwizard tournament, and another new director in the british Mike Newell, the movie has a lot more action than the previous films, lending this particular film a much swifter pace, and more exciting and scary threats for Harry. I could’ve done without the snotty Ron Weasley all up-in-arms over his suspicion of Harry somehow sneaking his own name into the cup. So what if he did? I also can’t quite comprehend how these competing international schools would allow such a tournament to go on. I suppose a lot of the magic performed at Hogwarts, including the fast-paced games of Quidditch, could prove about as dangerous. But Harry has to take on giant dragons, save his own classmates from an underwater obstacle course filled with evil creatures, and then has to wander through an endless, isolated maze that apparently can drive its occupants completely mad. This school takes the threats in the previous films quite seriously, so I guess I can’t understand why they would promote such a dangerous tournament where students could easily be killed. I also wondered what would happen to the students placed at the bottom of the lake in the second challenge. Harry finds Ron and Hermione among others down there, and wants to save more than one student when his task is to save only the sole selected. Would the remaining student(s) die if left there? Such questions puzzled me, but sort of became a bit irrelevant amidst the film’s excitement and proceedings. The action here is a doozy. And the darker tone and return of Voldemort (played by a deliciously serpentine Ralph Fiennes) really help the series take a great leap forward. The cast again, redundant as it may sound, continue to take the reigns of their characters, though at times I felt a bit annoyed with Rupert Grint this time around. I think that’s solely because of how whiny his character is in this particular film. Otherwise, Daniel Radcliffe and Emma Watson continue to impress. Brendan Gleeson is a welcome new addition to Hogwarts as a Professor of Defense Against the Dark Arts. Maggie Smith and Alan Rickman (my favorite supporting character) may be getting a bit shortchanged, but that is to be expected. All in all, the film is a marvelously fun accomplishment. 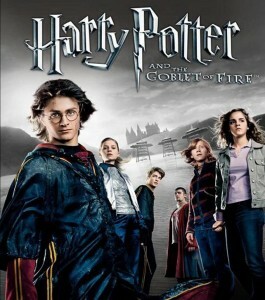 ‘Harry Potter and the Goblet of Fire’ is a dazzler, an action-packed installment that continues a thrilling series that miraculously dodges audience fatigue with endless surprise and invention. Harry Potter has a chance to simultaneously lighten up and get serious in ‘The Prisoner of Azkaban,’ widely considered (to my disagreement) the best installment of the franchise thus far. A new director and a fresh tone do liven things up a little bit as our lead hero enters his teenage years with rebellion and frustration intact. The story sends the young magic trio back to school under the alarming news that Sirius Black (Gary Oldman), a savage murderer– also an accomplice in the death of Harry’s parents–has escaped from Azkaban prison. Dementors (wraith like spirits with soul-sucking power) are dispatched to seek the prisoner out, that is if Potter doesn’t find him first and have his revenge, or possibly fall victim to the dementors himself. 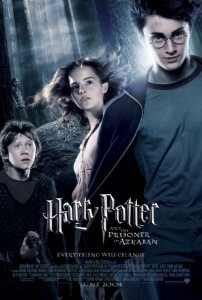 Right out of the gate, I think ‘Prisoner of Azkaban’ trumps its predecessors as far as all the technical aspects go. The action and special effects are first-rate. There are some great sequences to thrill to, especially a few CGI additons: a horse-bird hybrid called Buckbeak and a few menacing werewolves. The plot is serviceable enough–I particularly enjoyed developments toward the film’s climax. The story also introduces us to a new ‘Harry Potter,’ a blood-thirsty teenager not just sad about the loss of his parents and not so easily cornered by his tormenting aunt and uncle. This Harry fights back with disregard, and all three youngsters mature in that light. Credit the lighter feel of the film to its new director, Alfonso Cuaron, who trims the running time by approximately twenty minutes, allows more humor to find its way into the material, and somehow manages to make this darker premise not so heavy. I will say this is the most inventive film of the series, but I felt the plot contained less suspense than ‘The Chamber of Secrets’ and lost some of that ‘dreary and haunted’ vibe. And to Cauron’s credit, that’s because ‘Azkaban’ seems aimed at being more fun. I did enjoy it, but it wasn’t my favorite.